the texturing and layering, and the frames that are so much a part of his works. creams and whites and shadows, acrylic on board. My main research influences for this are the works of Robert Ryman and Mark Rothko. latest work, house acylic on board, over oils. Interested in transparencies, shadings, neutrals, covering colour, textures. Research points are Robert Ryman, Mark Rothko and Dale Frank. some of my latest work, house acrylic and oil paint on canvas. 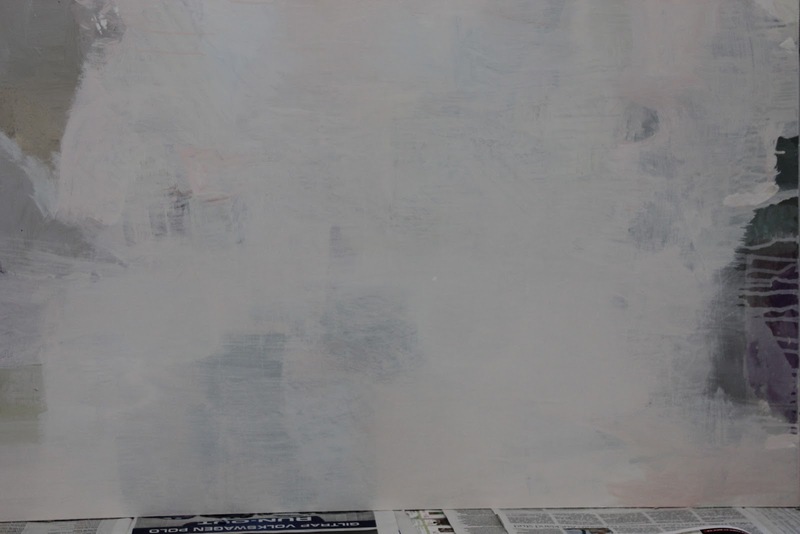 Painterly influences are Robert Ryman, Mark Rothko and Cy Twombly. 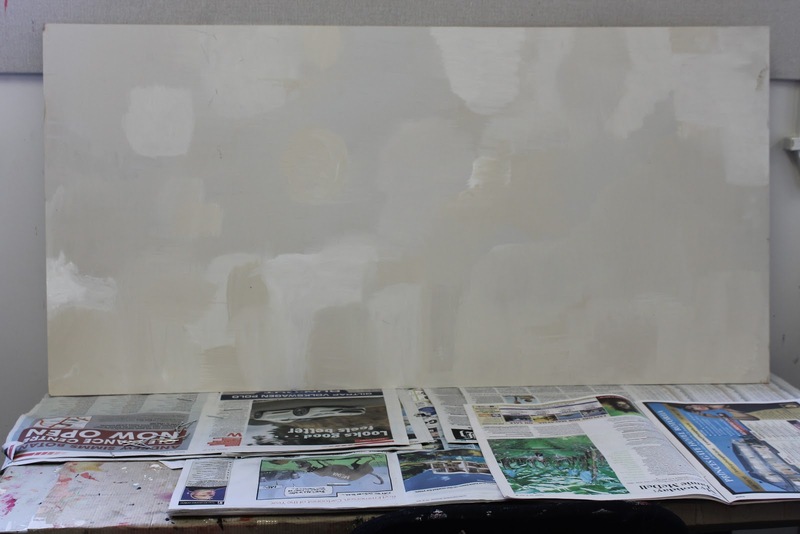 My work is about the lack of colour, the primacy of white, stripping the picture back to its bare essentials. To substitute form for colour, to paint nothingness that is about something, to take out the meaning except for emotion and feeling. 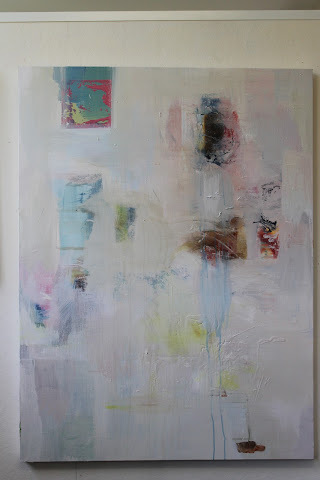 I also wish to explore framing and surfaces, from rough paper to tracing paper, canvas to wood. To dive into textures, to push the boundaries of whiteness, to play with transparencies, to let the paint take on its own life form, to explore both negative and positive space in whites. The above work is by American contemporary painter Robert Ryman. His work pays tribute to minimalism, abstraction and has a totally contemporary flavour. He also explores monochrome painting. I love the way his works play with frames and backings, borders and underneath backgrounds, transparencies and objects within and on the canvasses/surfaces. He paints on varying surfaces such as aluminium, graphite, paper, and often his works are very textured and layered. This is something that I wish to achieve within my own practice. To me, the above work is about mark making and texture. It has a 3D effect and the paint seems to pulsate out of the surface. This is a result I am aiming for in my own work; I love the sea of textural, white paint, seemingly slapped on, but carefully rendered. Ryman's works may look simple, but they are delicate yet complicated yet simplified. I like that. The paint layers have been carefully built up, and there is an obvious planning and foreknowledge that goes into these works. The frames themselves are of interest. Love the rawness to these; the raw linen, the shiny aluminium gleaming through, the sometimes rustic underpainting. I also enjoy the frame within a frame idea, and the way that the surfaces are as much a part of the work as what the paint is. It's as though the surfaces are layered, as well as the paint. Makes for very beautiful works. Draft of essay, The art of Damien Hirst.